Any kind of accessory can make or break an outfit. So it is vital to make sure that you choose the right ones every time with whatever outfit you are wearing. Certainly choosing the perfect shoes, boots, bag or even sunglasses can prove quite challenging. But it can prove even more difficult when it comes to choosing the right pieces of jewelry. So hopefully some of the information we provide below about the accessory trends in 2019 should prove useful. 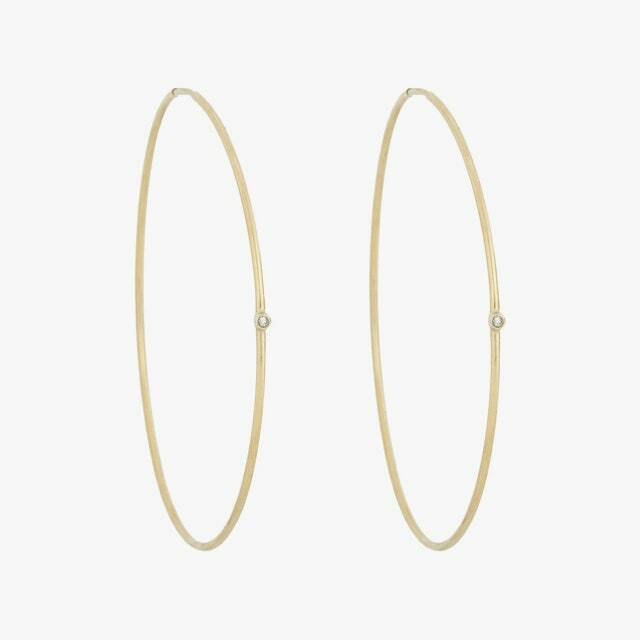 For quite some time now classic hoop earrings and dainty necklaces have been the go-to pieces to be worn. But now it seems that bigger statement pieces are going to be fashionable over the coming year. In fact more is more seems to be the theme when it comes to jewelry accessories. So in order to help you get ahead of the game, we take a look at what is going to be fashionable this year when it comes to jewelry accessories. The first thing to be aware of is that jewelry trends during 2019 will include lots of rhinestones and stones. Also, multi-layering of pieces is going to be very on trend as well. Most pieces of jewelry that will be trending in 2019 will actually include large pearls as well as precious and semiprecious stones in their designs. So What Kinds Of Accessories Should You Be Wearing In 2019? During the latest fashion shows, there were many different examples of jewelry stacking. Some designers chose simply to pair two necklaces together, whilst others chose to be a little more extreme with their jewelry stacking. Some models were wearing several necklaces at once, whilst others were being asked to wear large necklaces that had massive beads or pearls in them along with pendants and even chokers. But it wasn’t all about necklaces; some designers favoured the layering of several bracelets together. Again they decided to go with several different styles. You can do this by combining beautiful pearl bracelets with say a simple silver charm bracelet or even a few leather or bead ones. Don’t expect to see many delicate hoop earrings for sale during 2019 as hyper hoops are definitely trending this year. They come in a variety of different sizes and with a wide array of different additions and embellishments to them. As well as being larger these earrings are going to be a lot more colourful this year. Already we are seeing ones that use neon colours in their design. Plus their shape is also going to differ quite a bit from the conventional hooped earring; in fact, unusually shaped ones are definitely on trend now. Though some may have suggested that chokers are no longer in fashion, this simply isn’t the case. In fact, throughout 2019 one of the coolest accessory trends is going to be loose chokers. Unlike conventional chokers, this style will sit lower on your neck, just above your collarbone, so they don’t look too tight when worn. Along with the use of pearls in such pieces you’ll find that a lot of other interesting materials have been used in creating such items of jewelry. Some prefer to be made using thick dread-like material rather than the usual string of gemstones together. Others on the hand were much cuter, for example, Prada presented one, which was made up of thick rings that were adorned with a tiny bow. Also, some have been produced made up of chain links and definitely will be a popular accessory trend in 2019 with the younger generation. Super low hanging pendant earrings will definitely become one of the biggest accessory trends in 2019. Some of the pendant earrings already seen on many catwalks reached the shoulder and some were even longer. Of course, you don’t need to wear pendant earrings that are this length. You can wear a beautiful pair of pearl pendant earrings that end halfway down the length of your neck and still look fashionable. The inclusion of either feathers or faux fur into any piece of jewelry can prove quite challenging, yet there are some jewelry designers who have managed this. These will prove to be a cool accessory for you to wear anytime you want. The inclusion of colourful feathers for adorning hoop earrings is definitely going to be one of the hot accessory trends in 2019. But the inclusion of feathers and faux fur in bracelets is also going to prove popular adding a really wild vibe to any look you want to create. If you want to go for the boho-chic look that will be very popular in 2019 then, of course, the wearing of chunky bracelets is crucial. This style of bracelet is much better for any woman who doesn’t really like to wear too much jewelry at any one time. As one of the more upcoming accessory trends, these types of bracelets are either made from large solid pieces of plastic or have been covered in small stones. The ones with small stones or pearls help to emphasize the delicate wrists of the woman wearing them. This year you will see a wide array of different pieces of jewelry that have shells included in their design. Certainly, the inclusion of shells along with pearls and other gemstones will be very popular both in necklaces and earrings throughout 2019. Not only do such pieces of jewelry add a touch of bling to any outfit they provide it with a more luxurious vibe. Plus such pieces would look wonderful worn with summer outfits whether going to work or away on holiday. It may seem a little strange but the wearing of mismatched earrings is certainly something that is already proving to be the biggest accessory trends this year. Quite a few of the fashion shows had models wearing different types and sizes of earrings. At the Adeam fashion show, the mismatched earrings chosen were in gold with traditional hop and pearl designs being favoured. The accessory trends in spring 2019 include quite a lot of floral designs and this is properly to match with the many floral garments that are available now. Along with flower shaped ear cuffs, floral necklaces and bracelets will be very on trend over the next few months. Certainly, a beautiful pearl set within a cluster of diamonds or other gemstones provides the perfect floral accessory to any outfit. Along with seashell inspired jewelry, the inclusion of pearls in jewelry is also going to be very much on trend throughout 2019. The wearing of a necklace or choker made entirely up of pearls is going to prove very popular. But having said that the use of only one or two pearls in a pendant design is also going to be very popular. As you can see from above there is going to be some really amazing accessory trends in 2019, and finding one that suits your particular tastes shouldn’t prove all that difficult. Here at Pearlsonly.com, we have a wonderful selection of pearl jewelry to choose from. So finding a piece that is in fact on trend this year won’t prove hard. You are sure to find the right pearl accessory for you that doesn’t only suit your budget but also suits your personality.